Join our friends at Rock Creek Alliance for their Annual Party! 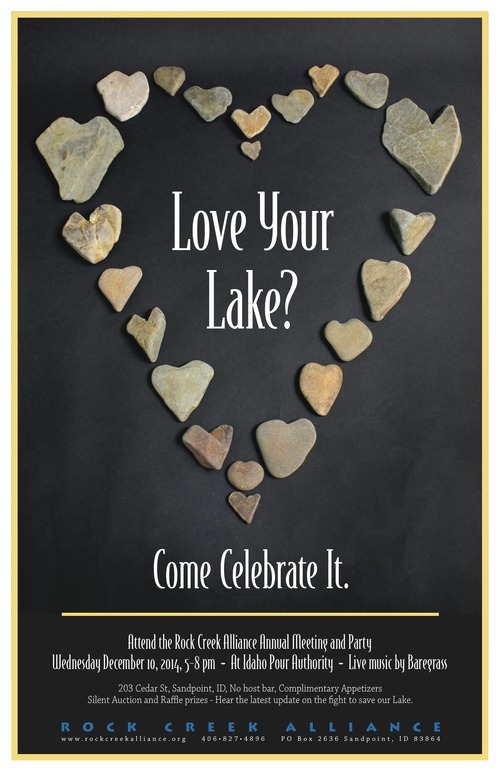 Eat, Drink, and Be Merry While Helping to Protect Our Lake! Pour Authority will have twelve beers on tap and over 300 kinds of beer, as well as several types of cider and wine by the glass. Complimentary appetizers will include artisan cheese, salami, and fresh baguettes. This year’s silent auction items include Patagonia rain jackets, lift tickets, lake cruises, music lessons, veterinary services, and much more. All of these items would make great holiday gifts. We’ll also have some fun raffle prizes like hand crafted candles and gift certificates to local restaurants. Enjoy the music of Baregrass-blending blues, bluegrass, reggae, jazz, and country. Be sure to bring a friend. As always, our event is free and open to the public!